I have to admit my knowledge of slugs and snails was limited to the familiar, slimy creatures in my garden that ate holes in leaves, flowers, vegetables—almost anything, really—and left silvery traces behind. 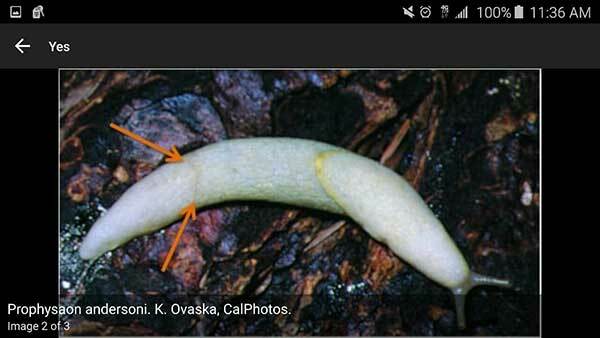 The Terrestrial Mollusc Key mobile app from the Department of Agriculture was a revelation. 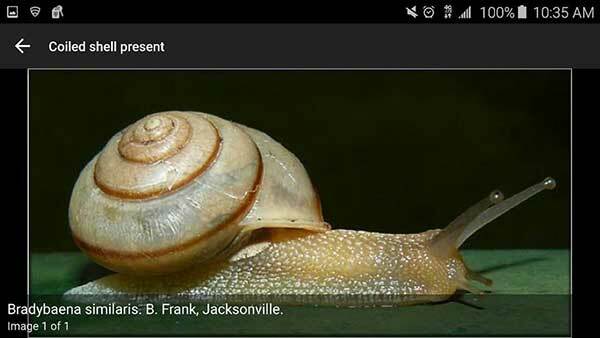 The app, specifically designed to assist in the identification of adult terrestrial slugs and snails of agricultural importance, includes 33 families and 128 species. It is available for both iOS (iPhone and iPad) and Android devices and can be downloaded from iTunes and Google Play. The interactive menu allows you to select one or more of 13 observable features, such as the presence of a shell or body color or markings. If you select a particular feature, the app presents additional choices. For example, if you choose body color as the feature, you can then choose one or more colors. Any choice you make acts as a filter to narrow down the specimen you want to identify. You are able to identify differences between multiple species based on the features you select. Depending on the species you pick, the app filters the features available to you for identifying differences. The “Find Best” option provides the fastest identification and displays the image of the specimen based on the remaining entities. Tapping on any thumbnail image brings up vivid photographs from the gallery. 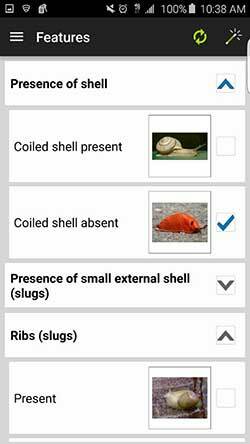 Federal, state and other agencies or organizations within the U.S. are winning their mobile moments at U.S. ports of entry with this app which includes species of quarantine significance as well as invasive and contaminant mollusc species.